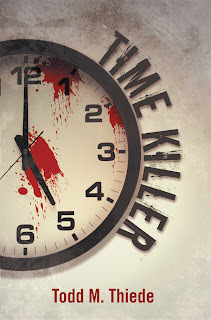 Time Killer is a unique mystery/thriller. It is unique in the way that nobody has ever written about a serial killer that kills people for wasting time. Sure there are books about many serial killers killing for different reasons. For instance a voice or voices told them to kill, their dog told them to, or even their god told them too. But I was never able to find a story like Time Killer in any movies or books. The time killer in this book is so self absorbed that he kills people for taking his time away from him. In the first chapter I let him describe how his life is affected by people that waste his time. The story in itself can be taken as a life lesson. You should be more considerate of the people around you. Their time is just as valuable as yours. You never know what other person is dealing with and sometimes it might just be better to let them cut in front of you at the grocery store. Maybe instead of wondering why that person sped past you on the highway and you decided to flip him off instead of letting him in you should just sit back and relax and enjoy life as it is. Your life might be hectic, you might have a lot on your mind, but so could the person next to you. They may have it even worse than you do. I truly believe if you respect those around you it will come back to you many times over. Time Killer, does take his feelings too far. That is the point. He has lost his mind because he blames his life on others. He thinks that he should be compensated for what he has lost. He blames all of the time wasters in the world for all of his problems. If you want to read a truly gripping mystery/thriller that is nothing like you have ever read before. Then you should give Time Killer a chance. Check it out on Amazon, Barnes and Noble, or where ever books are sold. About the Author: Todd Thiede discovered a passion for writing at a very young age, creating personal stories in order to pass the time. His vivid imagination—sometimes too much so—is fuelled by what he sees in his everyday life. Todd resides in Elgin, IL with his wife and four children. Visit his website at www.toddthiede.com or on Facebook at www.fb.com/thiedetimekiller. OK, here’s the deal. 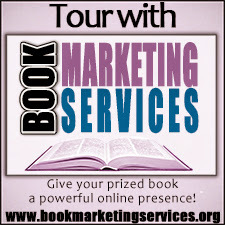 You can sign up for the overall tour giveaway using the Rafflecopter widget below. Up for grabs are three signed paperback copies of Time Killer as well as a $10 Amazon gift card (whee!). OR… you can take advantage of Todd’s special one-day offer. For today only, he’s giving out a free ebook copy of Timekiller to anyone who posts a question for him in the comment section below and e-mails him at toddthiede@aol.com. Just send him the address that is associated with your Kindle, and he’ll gift you a copy. And if you don’t have a Kindle, then request it in another format. Either way, get on this puppy quick, because it’s an exploding offer! 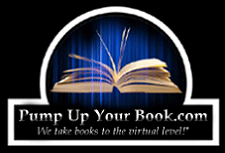 On behalf of Todd and Book Marketing Services, I would like to thank you for hosting Todd on I Read a Book Once today. Todd will be by later in the day to respond to any comments and/or questions your readers may have. Please remember to enter a comment to receive a Kindle edition of Time Killer. I love serial killers and this sounds very different. I love the cover too. How did you come up with the idea? The story of how I came up with this is kind of funny. I was actually on my honeymoon 3 years ago and I had a dream. The dream actually is the first chapter of the book. This dream woke me up in the middle of the night. I couldn't fall back asleep and instead of turning on the tv or something and waking my wife up I wrote the dream down. Then I started to put it into a different perspective and like I said that is actually the first chapter. My wife still gives me a hard time about starting to write a book on our honeymoon but hey it is a great story. That is so cool. It took me a while to find this link. I knew I had saved it. Well, your wife can even think that it is because of her that you wrote the book. You did write it down because you didn't want to wake her. Now you have really peaked my interestest and I will have to bump it up my TBR list. Thanks for the reply. I love it. Have a great day. Sherry. you have it in your inbox enjoy. The book looks very interesting. I'd love to get a copy. Thanks! I just sent your copy Sarah. Enjoy the read. The company statement was found competition led to the erosion of the brand over the past year and a significant loss of market share. A turning point in the MBT's financial situation was not deemed Mizuno Wave Prophecy 2 possible.In a Footwear News interview in October 2010, Klaus Heidegger, majority shareholder of christian louboutin shoes MBT USA, said the company is not the onslaught of toning brands was seen as a direct competitor, because the labels didn ' t offer the same health and wellness benefits. However, in order to increase sales led MBT more fashion-driven lifestyle product in his spring '11 collection. ? A number mbt shoes outlet of leadership changes have been made to continue to grow. In September 2010 Mark Matheny interim president was named by MBT USA, to replace Paul Grimble, who had overseen mbt shoes the brand. Casa Grande on the role of the President of the US and Canadian divisions participated in April 2011.At present, the US company and Canadian offices remain open. christian louboutin outlet MBT launched in the US market in the year of 2003. Sports brand Adidas and Disney Consumer Products join forces for an extensive range of baby and children's clothing, mbt outlet including shoes. The new spring / summer collection for boys and girls Adidas combines "traditional performance silhouettes with Disney's classic characters like Mickey Mouse and Minnie Mouse. The Disney christian louboutin sale StreetRun trainer will incorporate 3D elements and a Disney themed Adidas shoe sole stamp into the sneaker design. are the shoes for infants and children in the region of fitflop sale 35 to 55 euros. the line is Adidas stores and select athletic retailers this month to make. A collaboration characters from the upcoming film "Toy Story 3" featuring, is fitflop sandals also in the Working together with the film summer release. Consumers want FitFlop it s to know something, but a one-hit wonder.After ITS Walkstar Toning flip flop original mizuno wave prophecy 3 was taken immediately with consumers five years ago that UK-based brand developed into a comfort-driven Lifestyle This line has tripled its sales in the last four years.To demand in mizuno wave shoes the US "now correspond to the company s second largest market behind the United Kingdom" FitFlop recently opened a headquarters in White Plains, NY, President appointed to the fitflop shoes States and install a sales and support team.